CAPTURING THE DEVIL Description Reveal + Updated release date!!! happy Monday! ARE YOU READY FOR CAPTURING THE DEVIL’S DESCRIPTION?!?! also?? the release date has been moved up to September 10th!!! YAY!!!! 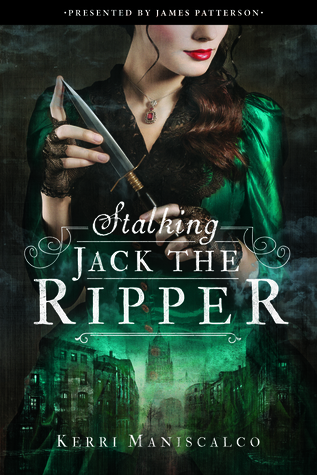 In the shocking finale to the bestselling series that began with Stalking Jack the Ripper, Audrey Rose and Thomas are on the hunt for the depraved, elusive killer known as the White City Devil. A deadly game of cat-and-mouse has them fighting to stay one step ahead of the brilliant serial killer—or see their fateful romance cut short by unspeakable tragedy. Audrey Rose Wadsworth and Thomas Cresswell have landed in America, a bold, brash land unlike the genteel streets of London they knew. But like London, the city of Chicago hides its dark secrets well. When the two attend the spectacular World’s Fair, they find the once-in-a-lifetime event tainted with reports of missing people and unsolved murders. Determined to help, Audrey Rose and Thomas begin their investigations, only to find themselves facing a serial killer unlike any they’ve heard of before. Identifying him is one thing, but capturing him—and getting dangerously lost in the infamous Murder Hotel he constructed as a terrifying torture device—is another. Will Audrey Rose and Thomas see their last mystery to the end—together and in love—or will their fortunes finally run out when their most depraved adversary makes one final, devastating kill? the ebook is up for purchase now and the hardcover will follow shortly! ESCAPING FROM HOUDINI is now available everywhere! for someone who works with words on a daily basis, i’m finding it EXTREMELY difficult to express how excited i am that ESCAPING FROM HOUDINI is in stores TODAY!!! this whole publishing journey has felt like a wonderful dream, and it’s totally surreal that my THIRD book is now in the world. i still can’t quite process it. this book was an emotional roller coaster for me and i cannot wait for you to hop aboard this wild ride. prepare to feel ALL the emotions. i put my characters through the ringer and i’m so proud of how they weathered this storm. thank you from the bottom of my heart for all of your support and love. please do tag me in your pictures today, i cannot wait to see them!